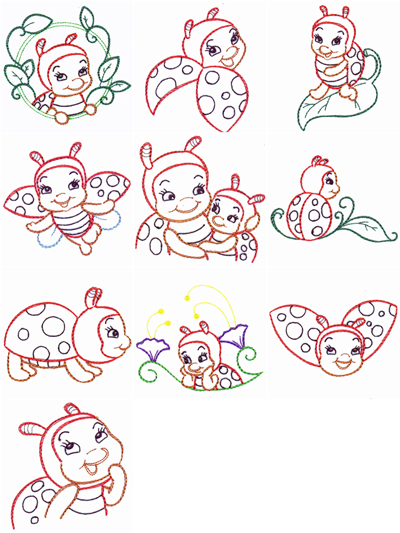 Set includes 10 happy cartoon style ladybugs ready to bring a smile to any ladybug lover. Done in running stitch, these designs will last on high laundry items like towels or childrens shirts. For the 4×4 hoop. Artwork from Clipartopolis.